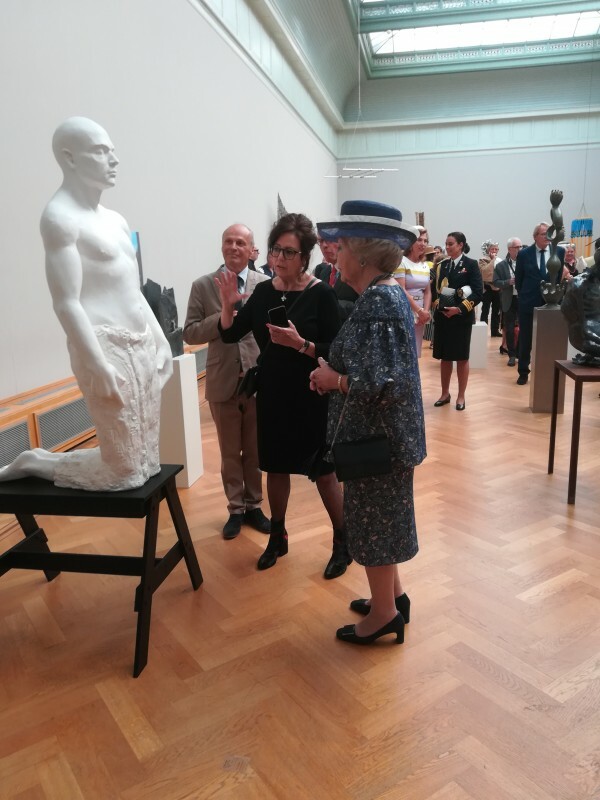 On May 8th 2018, Her Royal Highness Princess Beatrix (former queen of The Netherlands) opened the exhibition: ‘Image reflections, The Dutch Society of Sculptors 100 years later’, in honour of the 100-year jubilee of the Society. In this exhibition 100 sculptures from 100 different sculptors, 100 members from the Society are shown. The selection of the signal images was focused on tipping moments in the segregation and quality, regardless of whether the maker was once a member of the Society. For example, the Dutch Society of Sculptors also shows its openness to the outside. It is not only focused on the work of its own members, but actively thinks about what it perceives in sculpture. The Society does not have its own sculptural program and does not occupy a preferred position, but rather bases its admission policy on diversity and quality. These two criteria now have the opportunity to come to light. 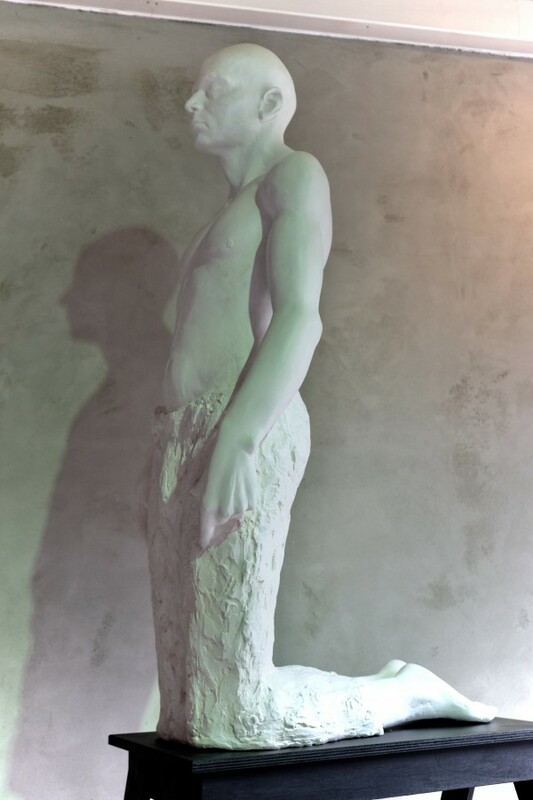 The Dutch Society of Sculptors (NKvB) is a national association with about 150 members. 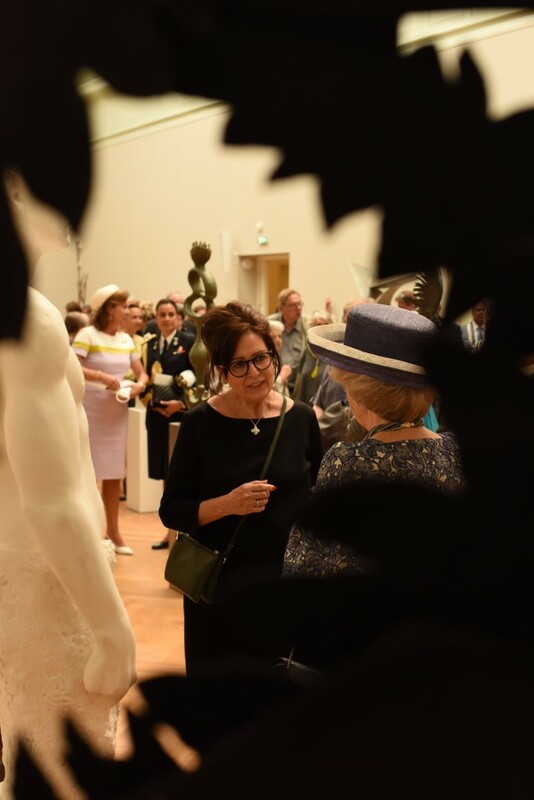 Founded in 1918 as an interest group for sculptors, the association strives to increase interest in three-dimensional art in and outside the Netherlands and to promote mutual contacts between working artists. 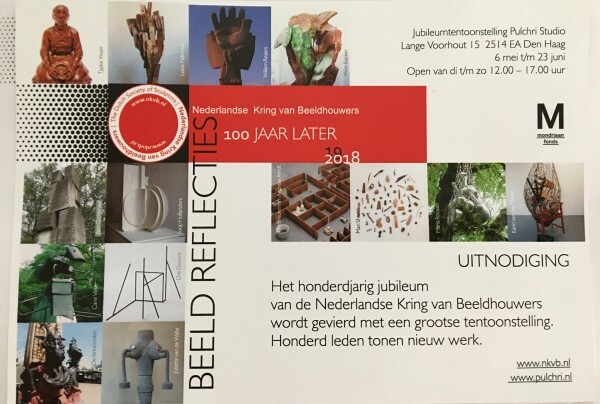 The NKvB is committed to the interests of Dutch sculpture, the spatial arts, and that of the Society’s members in particular. De Nederlandse Kring van Beeldhouwers is een landelijke vereniging met ongeveer 150 leden. Opgericht in 1918 als een belangenvereniging voor beeldhouwers, streeft de vereniging er naar de belangstelling voor de driedimensionale kunst in en buiten Nederland te vergroten en de onderlinge contacten tussen ruimtelijk werkende kunstenaars te bevorderen. De NKvB zet zich in voor de belangen van de Nederlandse beeldhouwkunst, de ruimtelijke kunsten, en die van de Kringleden in het bijzonder.